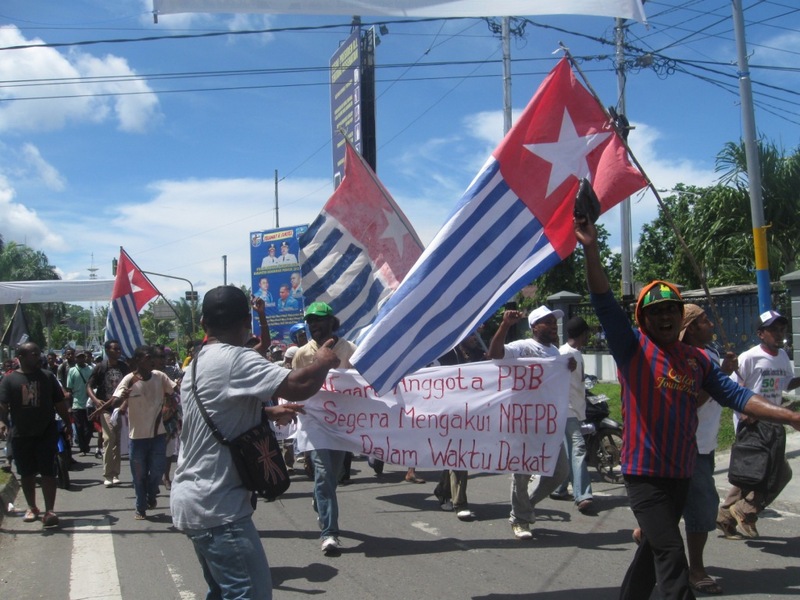 The yearly demonstration are being held by two sectors of West Papua civil resistance _ the West Papua National Committee (KNPB) in Jayapura, Puncak Jaya and Sorong, and the Federated Republic of West Papua (FRWP) has organised similar rallies in Manokwari, Yapen Island, and Fak-fak. 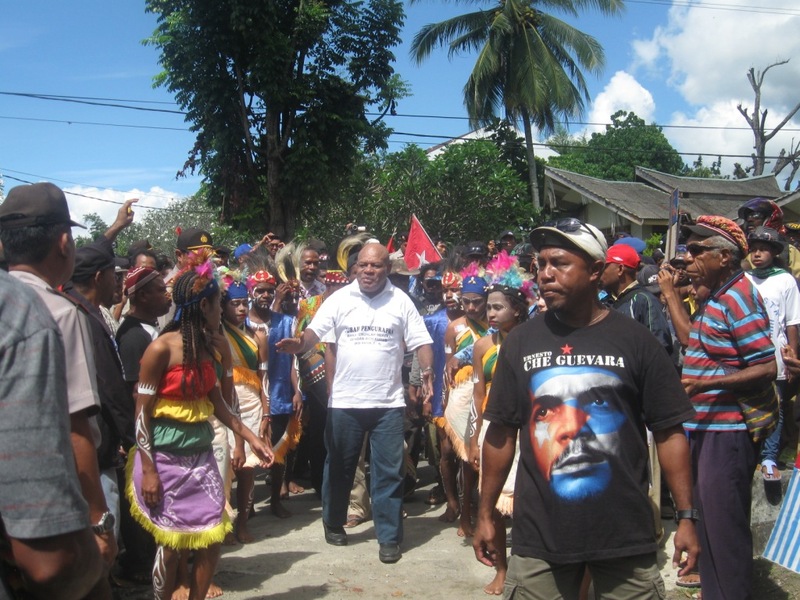 Indonesian Police have generally allowed the rallies to occur across Papua, however in Yapen, Police have banned all gatherings from occuring across Yapen, and have reportedly blockaded all marches. 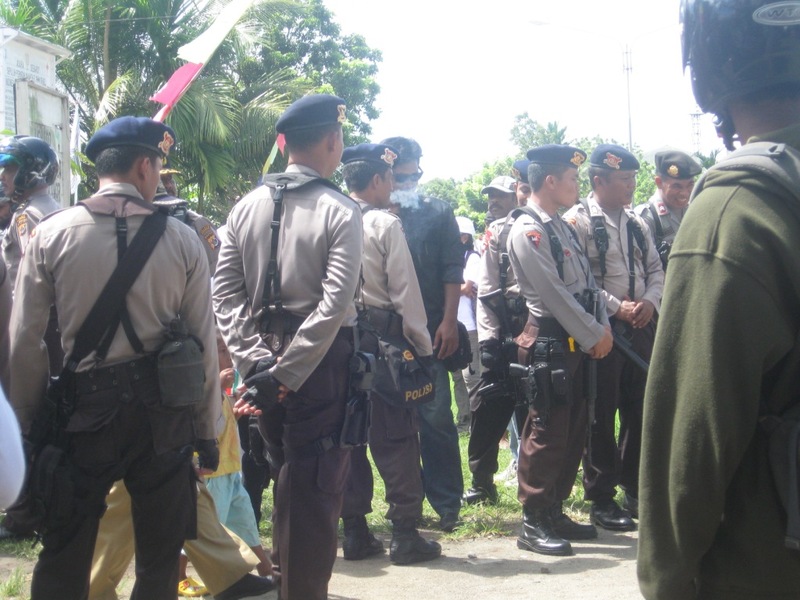 According to the FRWP, Head of Police in Serui Regency, Roycke Harry Langie S.IK MH, refused permission for the Federated Republic of West Papua to hold its rally, even while citing rights under Indonesian regulation No. 9/1998 concerning free speech in public spaces. “The Police Commander’s order not only violates Regulation No. 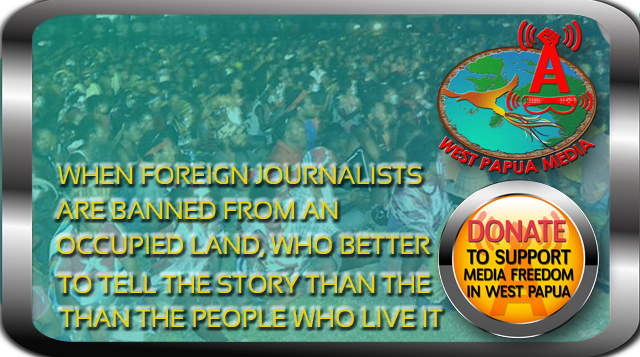 9, but also Article 28 of the Indonesian Constitution 1945” said Jacob Rumbiak, Head of Foreign Affairs for FRWP. Despite this ban, over 10,000 people have reportedly gathered at Wombai Beach outside Serui on Yapen. 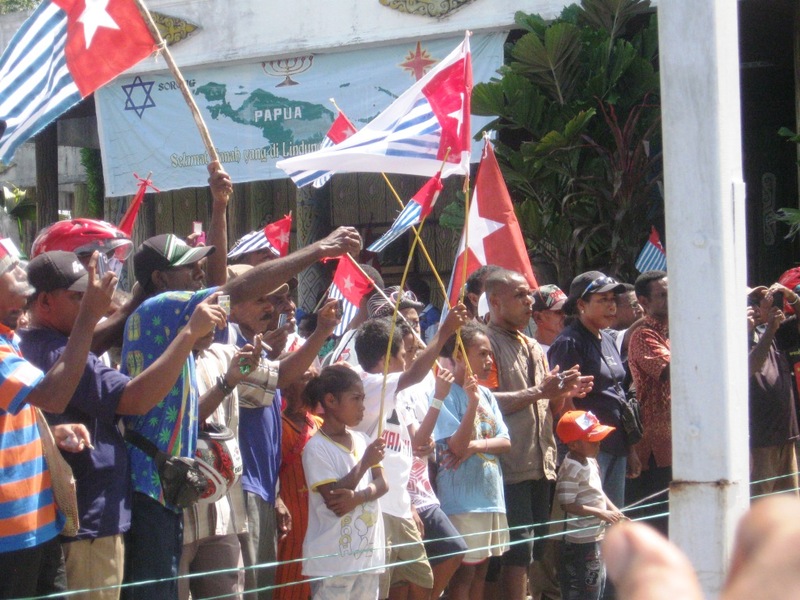 According to West Papua Media sources spoken to by phone, Ten Canoes (large outrigger war canoes) flying Morning Star flags, full of demonstrators from outlying islands, are about to land. However the Kapolres Roycke Harry Langie, is at the time publication using a loudhailer to try to force the boats to furl their flags and Morning Star paraphernalia, though it is understood that the boat crews are refusing to do. The situation is described as tense and dynamic, with the chance for armed Naval action occuring against the war canoes. However permission has just been granted for the rally to continue until 2pm local time, when a forces dispersal would be made if not already done. 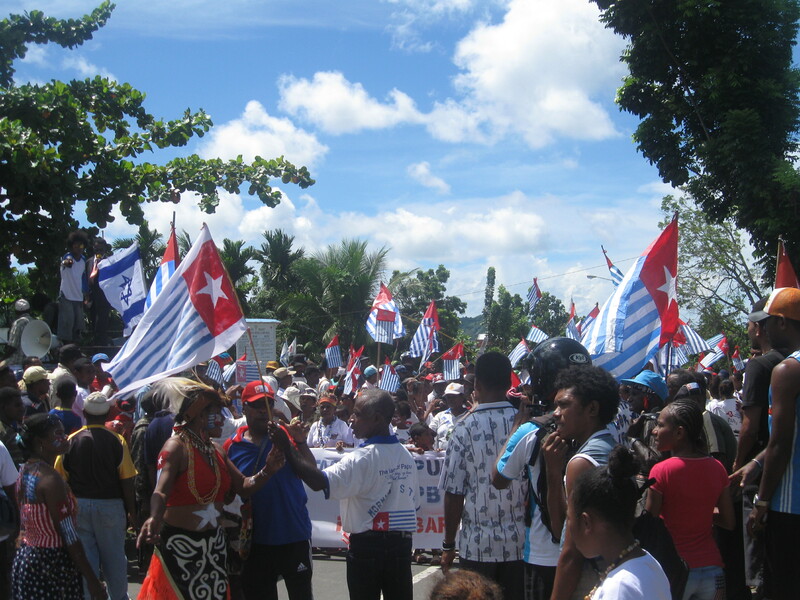 In Manokwari already about 30 morning star flags have been raised in from of the Manokwari district DAP office. Around 20 have been raised during a Long march fromm the UNIPA university campus to the DAP office. Up to 5000 people are now believed to have gathered listening to speeches and carrying on more Long marches. 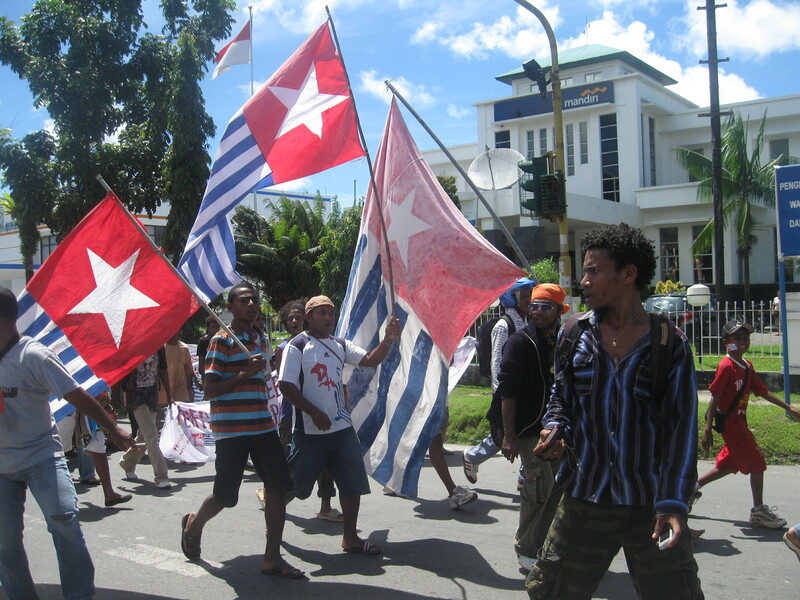 No news has yet been confimred from Jayapura at this stage. This is a developing situation – more updates as they come to hand. Please stay tuned.